Better Medicine, More Freedom and Privacy with Concierge Medicine. 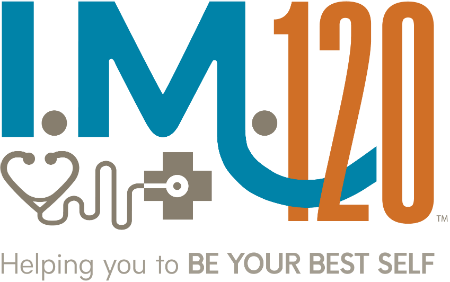 I.M.120 in Warwick, Rhode Island practices a unique brand of functional medicine and advanced anti-aging medicine. With the freedom of concierge medicine, our providers are capable of integrating treatments using approaches that combine the best of nutritional, nutraceutical, and if needed, conventional medical treatments. The model we work from at I.M.120 is different from what many people are accustomed to. Instead of going through health insurance, concierge medicine is based on a monthly fee that gives clients open access to an enhanced level and intensity of services from their doctor. With concierge medicine, all of the "big ticket items" will still be covered by your insurance. Coverage for Labs, x-ray and hospitalization will remain unchanged. You will be adding another level of care designed to keep you your healthiest and minimize exposure to drugs, testing, and other invasive procedures. Simply put, every time you see Dr. Petteruti, your treatment will not be influenced by the government or an insurance company. Together with him, you will be able to decide what is important and how best to use I.M.120's resources to optimize your health and well-being. Every insurance company and every government program reserves the right to look at your private medical record whenever they want without prior notification. These types of "audits" are happening with greater frequency and are exposing your medical records to review by non-medical clerks. In concierge practice, no one will be able to view your records without a subpoena or direct written permission from you. This enhanced style of primary care will help you live your youngest, healthiest and longest life. In order to achieve all of this, we work together to explore your best options—with no limits. Live the best version of yourself. I.M. 120's practices are restricted to approximately 175 clients. This small practice enables us to achieve higher levels of concentrated, highly personalized care. Click here to watch Dr. Petteruti explain what concierge medicine is.